Krondon & Shafiq Husayn perform live as White Boiz; Mndsgn & Samiyam beat sets; PB Wolf with a video DJ set. The undersigned current and former Black/New Afrikan political prisoners condemn the vicious assault perpetrated on our comrade Dhoruba Bin Wahad by the security team of group calling itself the New Black Panther Party at a public event on August 8, 2015 in Atlanta Georgia. We reject any justification or rationalization for this attack on an elder, himself a documented target of COINTELPRO and a former political prisoner who spent 19 years in the state’s custody. The “New Black Panther Party” does not represent us; nor does it represent the legacy of the Black Panther Party of which we are proud to have been a part. We fully support Dhoruba Bin Wahad and view this assault as one committed against all of us. We urge everyone to join us in condemning the attack. We wish our brother a full and speedy recovery. 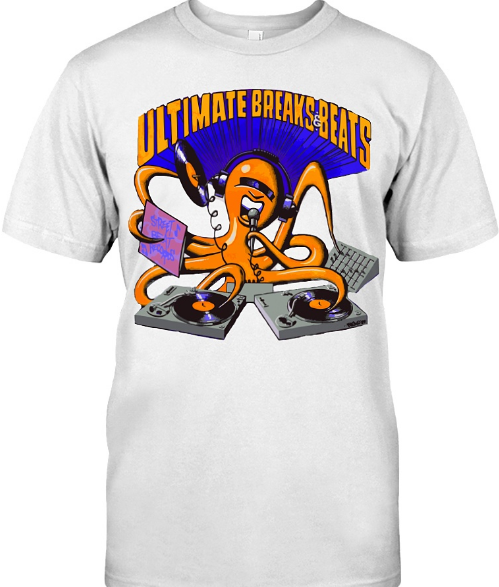 John Morales is a DJ and mixer who helped to pioneer the use of editing for dance floor remixes of records in the 1980s. Morales mixed Tuxedo’s self-titled album, and returned to the master tapes to create his own mixes for this disco 12-inch single. In 1982, Morales partnered with Sergio Munzibai – giving birth to the “M&M” moniker – and worked on a vast number of dance-oriented releases with Morales focusing on music while Munzibai handled artist relations, management and promotion. Alongside cult and groundbreaking records for the Fantastic Aleems (“Get Down Friday Night”), Class Action (“Weekend”) and Jocelyn Brown (“Somebody Else's Guy”) the pair mixed dance-floor successes for DeBarge (“Rhythm Of The Night”), Harold Faltermeyer (“Axel F”), Shakatak (“Down On The Street”), Miami Sound Machine (“Dr Beat”), The Temptations (“Treat Her Like A Lady”) and hundreds more in a period that saw them almost ever-present on the Billboard Dance, R&B or Hot 100 pop charts. Munzibai died in 1991, while John continued solo production projects included such acts as Debbie Gibson, Brenda K Starr, Denise Lopez, The Thompson Twins, Blow Monkeys, Five Star and Art Of Noise. 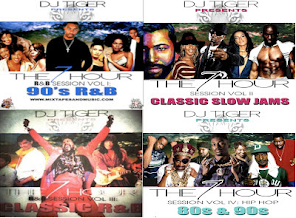 Three compilations of John Morales’ The M&M Mixes were released by BBE Music in 2009-2013. + Homeboy Sandman, U.S. tour dates and "Nonbelievers"
+ Krondon and Shafiq Husayn are WHITE BOIZ. Album coming October 2nd. + DAM-FUNK SYNTH SALE. LOS ANGELES, 8/22 ONE DAY ONLY. + Diva – “Satori” New single from the album Divinity in Thee. Vinyl available now. Invite your friends ~ Circulate widely ~ Light refreshments available! 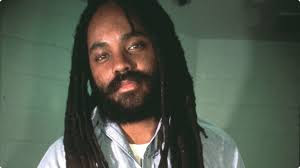 Now that Mumia’s legal team has filed the demand for a very specific medical treatment plan, based on the tentative diagnosis of his medical condition that one of his doctors has made, we feel it is important that we share the legal strategy and the medical findings with the movement. There will also be a presentation of the outrageous and deadly medical picture in the prison system as a whole for all of our political prisoners as well as for the general prison population. 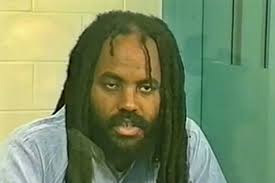 We will discuss some beginning plans for the next political steps we must take to save Mumia’s life and to free him. And we look forward to hearing initiatives others might take as well in moving forward. SPEAKERS: Pam Africa, International Concerned Family and Friends of Mumia Abu-Jamal; Suzanne Ross (Facilitator), Free Mumia Abu-Jamal Coalition; Bob Boyle, Member of Mumia’s Legal Team; Soffiyah Elijah, Correctional Association of New York; Esperanza Martell, 34 Women for Oscar Lopez Rivera; Johanna Fernandez, Campaign to Bring Mumia Home. Photo Credit: Jack Manning, The New York Times. At the Bronx Museum, Thursday, September 10th, hear from former members of the Young Lords who took part in the daring takeover of Lincoln Hospital. 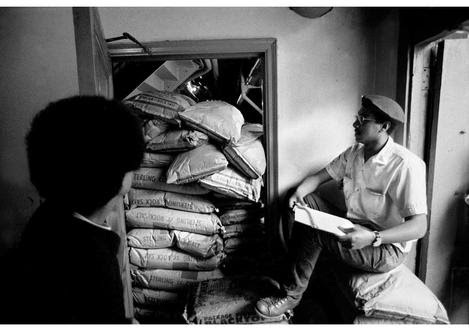 The Young Lords exposed the practices of medical racism by hospitals in poor communities and were instrumental in the creation of todays current Patients Bill of Rights in all NYC hospitals. 1040 LOUNGE: THE YOUNG LORDS "PATIENT'S BILL OF RIGHTS"
In the early morning hours of July 14th 1970, the Young Lords occupied Lincoln Hospital’s major administrative building in response to the city’s indifference to the health needs of Puerto Ricans and African Americans in the South Bronx and the deplorable conditions of health care delivery at Lincoln Hospital. ¡Presente! The Young Lords in New York . Featuring panelists Walter Bosque, Felipe Luciano, Daniel Meyers, Carlito Rovira, and Cleo Silvers, and hosted by Johanna Fernández. We believe that the government must provide, free of charge, for the people, health facilities which will not only treat our illnesses, most of which have come about as a result of our oppression, but which will also develop preventative medical programs to guarantee our future survival. We believe that mass health education and research programs must be developed to give all Black and oppressed people access to advanced scientific and medical information, so we may provide ourselves with proper medical attention and care. Public and Community Engagement Programs are made possible by the Institute of Museum and Library Services and the Mertz Gilmore Foundation. "A Patient’s Bill of Rights: Fighting for Community Health at Lincoln Hospital" is made possible, in part, by the New York Council for the Humanities. Beer has been donated by Bronx Brewery.
. People with respiratory conditions should stay inside during spraying and for at least 30 minutes after spraying.
. Air conditioners may remain on with the vent set to the closed position or the recirculate function selected. - Bring outdoor furniture, equipment, and laundry inside. - Keep all pets inside. - Wash skin and clothing exposed to pesticides with soap and water. 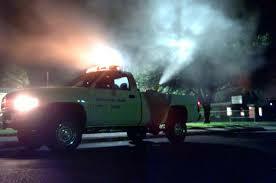 - Residents are not expected to experience adverse reactions to mosquito spray. - Some people who are sensitive to pesticides may experience temporary effects such as skin, eye, and mucous membrane irritation, as well as the worsening of conditions such as asthma and other respiratory illnesses if directly exposed to spraying. NYC Poison Control Center at (212) 764-7667. Leaving Records has a live residency in Los Angeles at Los Globos, 3040 Sunset Blvd, through the month of September. Mndsgn headlines the first of three Tuesday night shows on September 15. Each show is $7 advance, $10 at the Door, ages 19 and up, and they begin at 10PM. Mndsgn, 5 Chuckles (Ras G & Koreatown Oddity), Swarvy, Yuk. Matthewdavid’s Mindflight, White Rainbow, Sana Shenai (Dntel & Mitchell Brown), Lucky Dragons. Dakim, Ahnnu, M Geddes Gengras, EMV. Over at Stones Throw Digital Discography at Drip.com, we’ll be posting several releases from the Leaving Records archive through Fall 2015, beginning with Matthewdavid’s Disk II and Dem Hunger’s Caveman Smack. + Guilty Simpson – DETROIT'S SON New album coming Sep. 11, 2015. Advance release at Stones Throw. Mild High Club's album Timeline comes out September 18 and they're currently touring the U.S. PS – Thanks to the Greyhound! Mild High Club is on tour forever, but the album Timeline comes out September 18. + Mild High Club – "Undeniable"
NxWorries are working on a full-length album for Stones Throw Records, and are currently on tour with Earl Sweatshirt. Drinks will not be available, but our friends at Amigo's Liquor on Figueroa St can help you out with that. Boilerroom joins Dam-Funk inside the modern funk pioneer's west Los Angeles pad for an exclusive look at his record collection. What follows is 80 minutes of pure funk, disco and boogie bliss. Dam's own album Invite the Light will join the collection on Sep. 4.